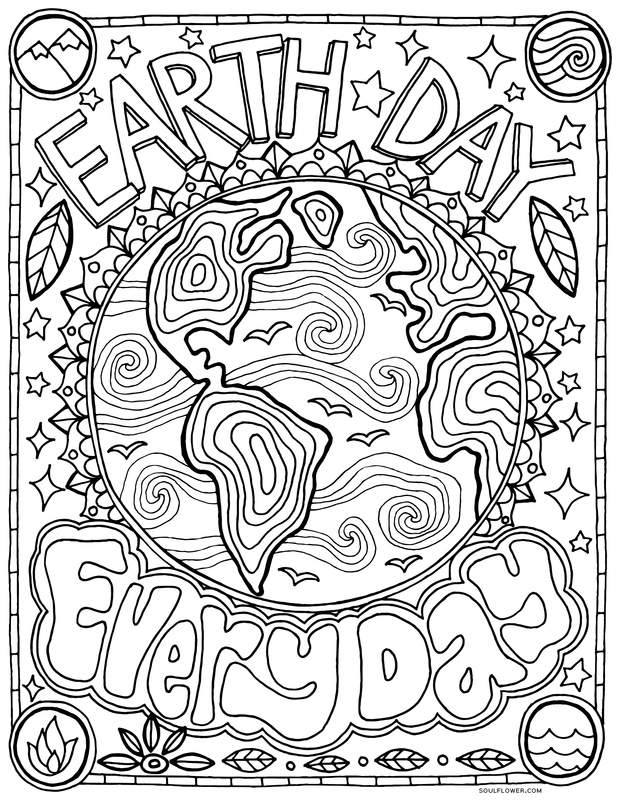 To print our free earth day coloring page, click on the image below to enlarge. Then in your browser’s menu bar, click File > Print. 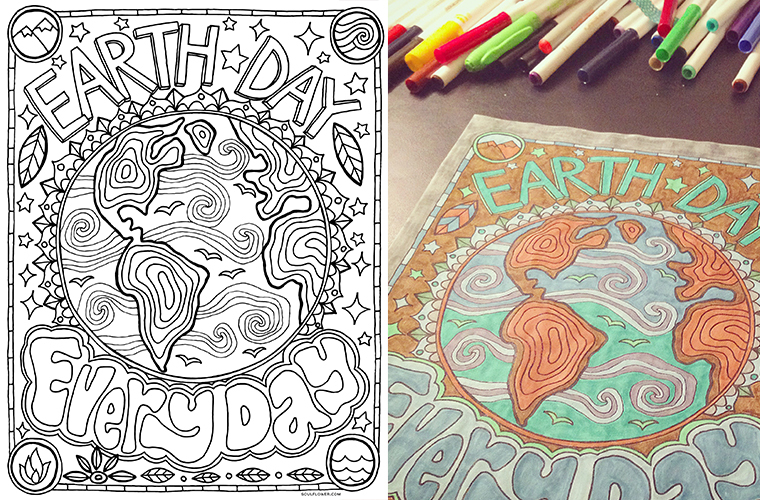 Looking for more Earth Day inspiration? Tune into our blog for more Earth Day tips for Earth Day and for Every Day! Freshen up your laundry routine with 5 Tips to Green Up Your Laundry. Shed your winter skin with this DIY Green Tea Sugar Scrub. Re-align your focus for the season by setting some Spring Habits. Cleaning out clutter? Here’s 12 Things to Do With Clothes You No Longer Wear. When your place is clean, here are some tips for Creating a Space for Mindfulness. Decorate your garden with DIY Mandala Garden Stones! Or start a little garden inside with this DIY Recycled Plastic Bottle Terrarium and DIY Tin Can Planters.